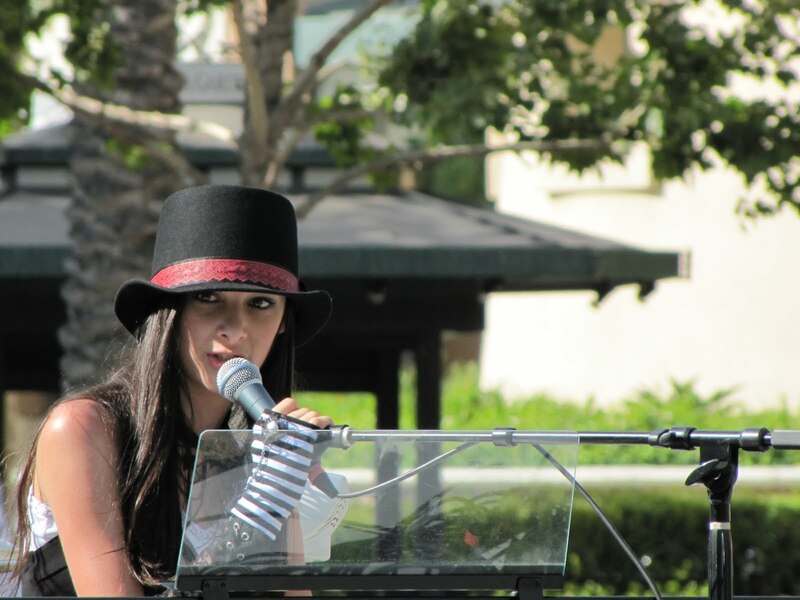 Rancho Cucamonga, CA - On a clear and sunny Sunday afternoon, hundreds gathered to see 12 of the best female artists from the Inland Empire and Los Angeles area perform on a single stage for the third annual Female Acoustic Show at Victoria Gardens. The show went into overtime, but it was well worth the extended show as Alternative Pop Artist, Marina V and Pop Soul artist, Mika Cole were the final acts of the show and going well beyond 6 p.m. on Sunday. As the day progressed with each act and as the weather cooled, the crowd of young and old grew within the grassy area leaving little room for the preferred view near the stage. Lined along the outside of the lawn, people sat on the patios of the neighboring restaurants as they got a bird’s-eye-view of the stage. Cut’ N Dry’s Talent radio show’s own, Christopher Kalt hosted the four hour-plus event with a line-up of 12 artists, including some musically nominated ladies from the independent and unsigned music scene, beginning the afternoon with Pop / Adult-Contemporary Artist, Jenna Bryson. Her performance began with the song, “Happy” a song about “…making you happy”. Bryson also sang a song that was written to Country Pop Artist, Kelly Pickler called, “Dumb Things”. While Byrson is not well-known within the music scene, her powerful yet charming voice had the audience in full attention and could very well be the next Sarah McLauchlan. 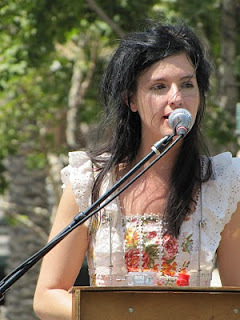 The second act was the very unique and the sweet presence of Eliza Rickman of Los Angeles. Her set comprised of a single instrument…a two-octave antique toy piano. While this child like instrument may not be the preferred instrument for most musicians, Rickman "worked it" and owned the stage with her pop gothic style of performance and was no less intriguing. In fact, her angelic voice and vocal arrangement combined with this tiny piano took the audience to a realm of enchantment and blissfulness that could not be forgotten. Rickman played three tracks from her new EP, “Gild the Lily”. Two of those songs, she had the help from the band, ShayE and the Dreamers. They assisted her song with various toy-like musical noise makers for the songs, “Foot Soliders” and a special Disney cover song, “I’ve Got No Strings”. The third act was the big voice of Pop Soul Artist, Vanessa Jourdan . Jourdan is not a stranger to music. She released her first album in 2002 called, “Give me the Stage”. Jourdan also received a nomination for Best Female Artist at the Inland Empire Music Award in 2004 for her song, “Stop Crying to Me” from the album, “Wanderlust”, which she performed on stage. She also performed her brand new song ‘Forever Mine” from her soon to be released album called, “Eternal Things” and she performed a beautiful rendition of a song by Al Green, “Let’s Stay Together”. 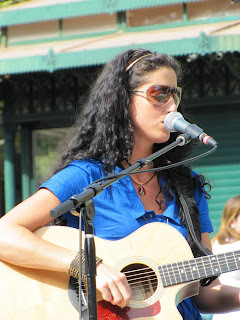 Next in the line-up was a native of Scotland, Folk Pop Artist, Rebecca Caldwell . While her genre description is a widely vague one, her voice can only be described as pure, sweet, and full of emotion. Caldwell opened with the song, “Friday Afternoon” which she described as a personal story. “I just lost my job on Friday, so this song is about losing my job,” said Caldwell. While many of Caldwell’s songs are simplistic, it was her deliverance that flooded a sense of echoing emotion that was a reflection of life’s daily common struggles, but also its beauty. The fifth act was a band from New Mexico and they were not new to the “Female Acoustic Show”. In fact, this was Mobetta Loretta’s third appearance in just three years. Their southern blues style of rock has entertained crowds for several years. Loretta and her band won the Los Angeles Music Award back in 2006 for best Folk Rock Artist of the Year for music from her album, “Little Sister”. After their biography announcement was read by Chris Kalt, I had high expectations. Instead I heard pitchy vocals and an unrehearsed band with little to no cohesion on stage. Bass Player, David Vermillion said they were off due to some last minute line up changes. "We have had some trouble with the band lately , we lost our original drummer and lead guitar player the band was very tight and good," said Vermillion. "But, now things have slowed down, we the band mates are left struggling, trying to bring this back up to speed." While they may have earned respect from their previous performances, this was one performance I would prefer to put behind me. 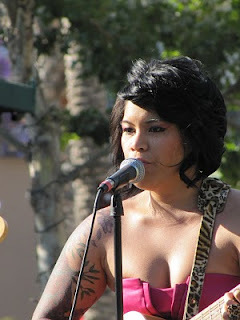 Immediately following the stage was the illustrious vocals of Alyssa Jacey of San Diego, CA. This artist was impressive as was she illuminating. Her vocals are very modern and her sultry voice was immediately comparable to Mary Ramsey of 10,000 Maniacs with hints of Paula Cole and Shawn Colvin. 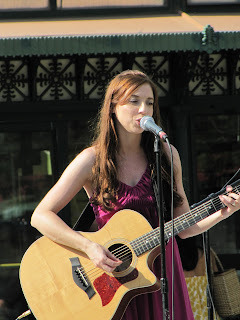 With merely an acoustic guitar, Jacey demonstrated her vocal ability with the song, “Sunset Blues”. Jacey not only played songs from her “Turning Point” EP, but also music from her 2010 full length LP, “Here’s to Change”. This young talent has written 215 original songs and self-released four records, so expect big things from this artist. What seemed to be a tough act to follow, came ShayE & the Dreamers from the little town of Yucipa, CA. While ShayE Taylor is only 15, she did not let her age fool anyone. One may have expected a mediocre performance from someone so young, but she surprised everyone and captivated the entire audience with her very mature deliverance of well written original music and lyrics. 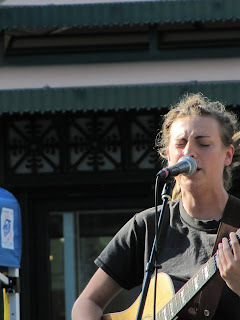 ShayE’s set included music from her brand new EP, “Rain”. Even though she has earned her right as an original artist, this young singer, songwriter, and pianist could easily be recognizable next to artists like Vanessa Carlton and perhaps the likes of Kate Voegal. After this unbelievable performance, I would not be surprised if she receives another invite and perhaps a call from a major record label. The founder and coordinator of this incredible musical showcase, not only managed this event, but she is a performer herself and an outstanding performer to say the least. 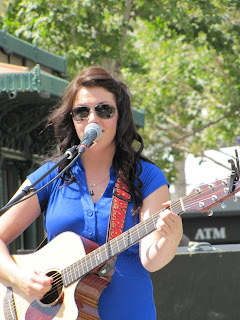 Crystal McKee put on a great performance of folk meets pop contemporary music. Her acoustic style is familiar that compares nicely with other artists like Jewel and Lisa Loeb, but with an added jazz vocal style. She’s been involved in music her entire life and it shows with her passion not only in her own songs, but also with the way this production turned out. With this being the third installment of the “Female Acoustic Show”, this showcase of talent was a great pleasure to witness in person. "I wanted to be able to bring together some of So Cals best independent female musicians. Not just any female musicians but ones who are striving to make a career for themselves in music and who take it seriously," said McKee. "I thought by bringing all these beautifully talented ladies together would create an awareness and appreciation for independent music. I wanted to put them in front of the general public. People are often surprised to see good female musicians and are even more surprised to see so many of them in one show." 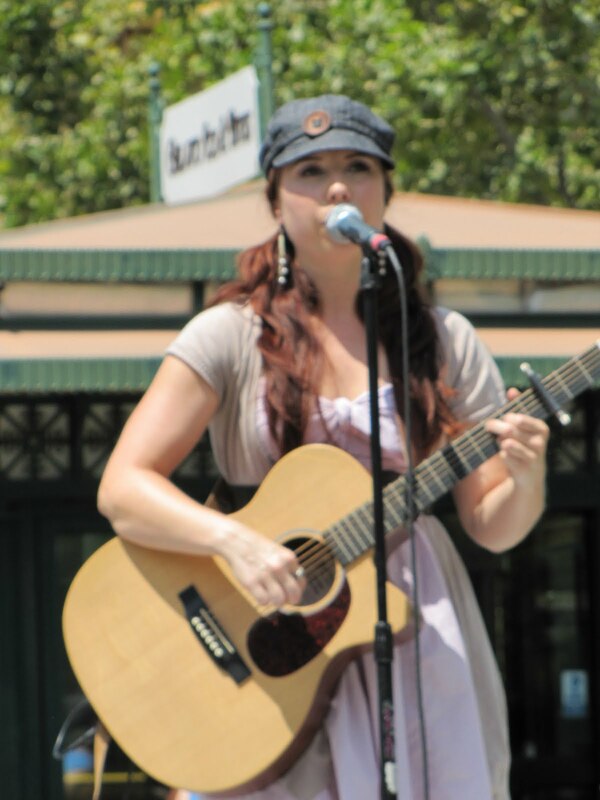 Soon after Crystal McKee were the sounds of Acoustic Artist, Apryle Dalmacio of Riverside, CA. This singer/songwriter was an Inland Empire Music Award winner for Best Country and Best Female Artist in 2009, including one of the finalists at the 2009 Lemon Festival. Apryle took the stage with her bassist and drummer and although there was a delay of nearly 30 minutes for technical difficulties, she eagerly made up for it by giving an excellent performance with a sampling of various tracks from her newest album, “On The Other Side” including “Yellowbrick Road” and “You’re My Superman”. Following Apryle Dalmacio was an unexpected yet talented folk funk artist. When Johanna Chase picked up the guitar, this incredible voice came out of that small framed body of hers and the jaws of several members of the audience opened and eyes widened as she belted out an extrodinary voice. Originally from the Seattle, WA area, this surprisingly talented artist has been in and around music her entire life. Chase moved to southern California to pursue her career in music and since then, she has performed in several venues on the west coast including Sunday’s acoustic show. On stage and with a single guitar, the audience only got to see a fraction of her incredible talent. What this performance did was single out her vocal range and ability to manipulate her most prized possession…her vocal bravado, which is her best attribute. The pure emotion in her voice and passion on the guitar is but one small piece of Johanna Chase the musician. Chase has four previous album releases and she graced the audience with a glimpse of songs from her up and coming fifth album release that is due to hit the market on August 5. As the sun began to set, the final acts of the night were nearing, beginning with the incredible Alternative Pop Artist, Marina V . The Russian native first came to America at the age of 15 to pursue a rare opportunity to learn abroad. What she did not realize was she would come back, but not to pursue her education, but to begin her career in music. Since the age of 17, her career path in music has gradually increased in popularity and she nearly won several highly recognized musical awards. Based on her performance last night, it is a shock she has not won an awards for Best Female Artist and Best New Artist. Along side Nick Baker on guitar and percussion, Marina sat behind her piano and opened with her original song, “My Star”. She also played her newest single called, “Make Me Beautiful” and closed out her set with “Sunshine Guaranteed” a fun semi-original song that combines her own lyrics mixed with lyrics from “Daydream Believer” by The Monkees. What makes her performance one of the most memorable of the event is her ability to capture the audience with her captive smiles and alluring charm. The headline and final performer of the Female Acoustic Show was none other than, Pop Soul Artist, Mika Cole of Los Angeles. Her set was an impressive start. Cole began with the song, “Some Kind of Wonderful” which she co-sang with Eleonor Harvey. Together, they owned the stage with the most beautiful rendition originally performed by one of Mika’s favorite artists, Joss Stone. Mika followed with one of her originals, “I do”. This song is one of her more beautiful tracks. In 2008, “I Do” won her a nomination for “Female Singer/Songer Writer of the Year” and “Best Pop Vocal male/female”. The “Female Acoustic Show” is the third installment of the annual event, but this is not the only show of the year. Coming on July 24 is part two of the “Female Acoustic Show” which will be held on Saturday from 6 to 10 p.m. at The Riverside Plaza in Riverside, CA. There will be some returning acts from last night’s performance, but there are also some returning acts from last year’s line up and some new faces as well. "It's the biggest show I've ever put together. Our event is only held once a year at 2 different location and this was our 3rd year," said Mckee. 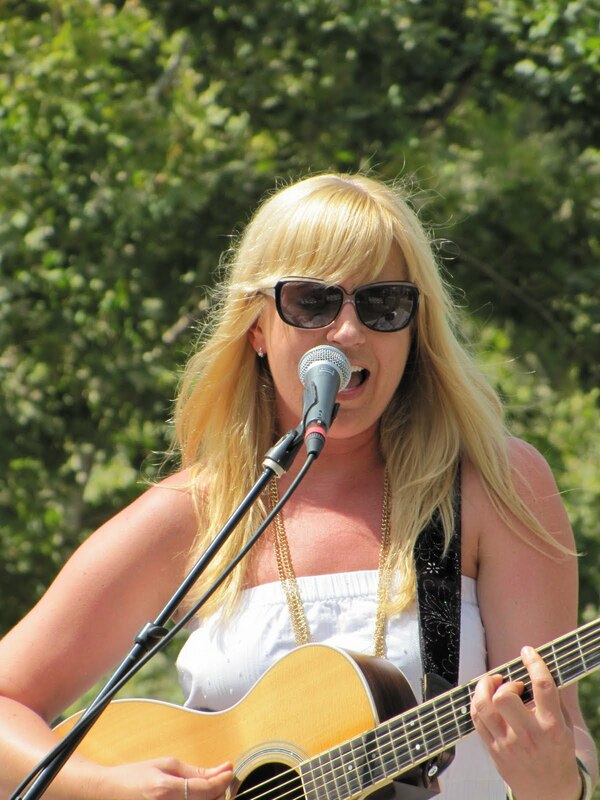 "I would like to expand on The Female Acoustic Showcase and make it better every year. Eventually I would like to organize a summer tour for this show and grow a fan club big enough to fill an large auditorium one day, I dream big!" For more information, go to: Female Acoustic Show for more details about the artists coming to this next event.